Supplier Member information can be sorted relative to the type of service they offer. Summary of Operations: Independent school bus driver. Summary of Operations: Direct to equipment, mobile refueling. Summary of Operations: Safety Consultant offering a diverse range of services to carriers. Services include the development and improvement of their health and safety management system and programs, NSC requirements and program compliance concerns. Conduct qualifying, maintenance and re-certification COR audits. Summary of Operations: Steam cleaning service throughout the Grande Prairie area. Jobs range from industrial and oilfield to forestry. We're available 24/7. Summary of Operations: Assist carriers with National Safety Code requirements including the development of safety programs and compliance issues. Conduct qualifying, maintenance and re-certification COR audits. Summary of Operations: We are direct distributors of Air Liquide, Eagle, Tow Brake, Turboflares and SOS Turboflares. We carry products ranging from air brake systems to driveline components. Summary of Operations: Manufacturer of truck tanks and semi trailers in aluminum, steel and stainless steel for the transport of asphalt, petroleum products, dry/granular products and chemicals, hay racks, loggers and RTAC type B-trains for the transport of wood products. Summary of Operations: A government authorized Alberta registry for annual returns, drivers' tests, vehicle registration, Alberta incorporation services and more. Summary of Operations: We’re here to make things a little easier, so you can enjoy your day. AMA members have exclusive access to online vehicle registration renewal services. Save yourself time and travel with this convenient online service. Summary of Operations: We’re the connectors, the movers, the carriers, the pulse, the guardians of the highway—and, we’re only getting started. Since 1938, the Alberta Motor Transport Association and its members have advanced the commercial transportation industry through safety programs, progressive policy and partnerships. Summary of Operations: Allison Transmission is the world’s largest manufacturer of commercial-duty automatic transmissions and a leader in electric hybrid propulsion systems. Our products are specified by more than 300 of the world’s leading vehicle manufacturers and are used in a range of market sectors – from bus, refuse and emergency to construction, distribution and defense. Allison was founded in 1915 in Indianapolis, Indiana, where the company’s global headquarters is still located. We have approximately 1,400 dealer and distributor locations, employ more than 2,600 people around the world and our products are used in more than 100 countries. Our vision is to be the global leader in commercial-duty propulsion solutions that improve the way the world works. Our promise is to provide the most reliable and valued propulsion solutions in the world to enable our customers to work more efficiently. Summary of Operations: AllShield is a provider of technology services including: Security and alarm systems, video surveillance, access control, live monitoring, fire systems, lone worker protection devices, communications and integrated software. Archer Transportation and Logistics Training Inc.
Summary of Operations: We provide online, and instructor led training, in different areas of trucking and transportation. Summary of Operations: Commercial insurance, multinational client practice, group benefits consulting and personal insurance. Summary of Operations: Leasing available for construction equipment, fleet and automotive, oilfield services, light industrial and transportation. Summary of Operations: Comprehensive fleet management technology from simple GPS tracking of vehicles & assets to fleet dispatch, field ticketing, driver behavior, electronic driver logs & vehicle inspection. Summary of Operations: Your work won’t wait. Neither will your financing. Like you, our dedicated Equipment Finance team is based here in Alberta. 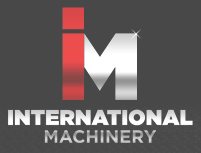 We understand your industry, its business challenges and the equipment critical to its operation. That’s why we can deliver customized finance and leasing solutions, fast. Customized finance solutions and rates, new and used equipment, leases and loans, up to 100 per cent financing, up to 84-month terms and flexible repayment schedules. Summary of Operations: Natural Gas for Transportation. Summary of Operations: Towing vehicles and Some Equipment utilizing wreckers, flat decks and trailers. Summary of Operations: We are a accessory store for light duty truck and heavy duty trucks. Summary of Operations: Fleet loss control. Summary of Operations: Aware360 understands people are the most important part of a workplace and strive to provide the tools to ensure they will have help whenever it’s needed. Driven by our passion for people, Aware360 creates solutions to connect people with personal technology, ensuring people are safe and productive on the job. From workers in the most remote locations to delivery drivers in urban areas, we provide the technology and response network to ensure their safety anywhere in the world. Summary of Operations: Operations include hotshot, delivery and pilot truck services in Alberta. Summary of Operations: Sales and supply of Zaftey Lug Locks. Includes wheel nut management system, high temperature units, two-year warranty and more. Summary of Operations: Drive your business forward. Our transportation solutions change the way businesses get things done, making it easier to track and manage assets, improve worker safety, deliver shipments on schedule and maximize overall efficiencies to keep your team on time and on track. Whether you need to keep drivers and dispatchers closely connected to optimize route planning, or track your deliveries in real-time, our innovative solutions help you improve communications and logistics. This helps increase revenue opportunities and will boost customer loyalty. Fleet management solutions help you track vehicles, monitor driver behaviour and improve customer service with more on-time deliveries. You’ll also be able to cut fuel costs by optimizing delivery routes, keep customers informed with real-time delivery updates, and proactively schedule maintenance through vehicle diagnostic reports. Summary of Operations: Bellis Transport Consulting offers a wide range of transport compliance and training services. With over 35 years in the transportation industry, 20 of those years in compliance and training, we can meet the needs of your company. 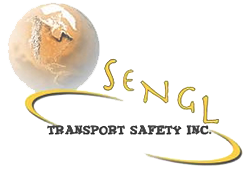 Our range of services include assisting your company with National Safety Code Audit compliance (whether it be for an upcoming audit, after a failed audit or for ongoing compliance), providing training courses in Hours of Service/Log Books (Federal or Provincial), Vehicle Pre-Trip Inspections, Cargo Securement and Weights and Dimensions. 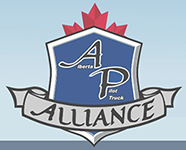 Jerry Bellis is certified by Alberta Transportation to instruct to test standards on Class 1 & 3 trucks and also to teach Air Brake Q Endorsement and is an Alberta Carrier Services Third Party Auditor. We also provide ongoing support for future questions and queries your company may have. Summary of Operations: featuring “Choice$” a voluntary program of benefits and services for Lease ops and small business. Summary of Operations: BFL are specialists in trucking insurance, with an experienced and knowledgeable team. We provide risk management services, competitive insurance rates, bonding, filings and premium financing. Summary of Operations: Management, consulting and auditing services including National Safety Code (NSC) Carrier Safety Program Development and driver evaluations. We also offer training seminars such as CVSA industry training. Summary of Operations: We are a leading provider of learning management technology and course development services. Training solutions include online course development services, learning management technology and access to a library with hundreds of online and blended learning courses. Summary of Operations: Blackjacks is located at the intersection of Highway 625, Highway 19 and Highway 2 at the entrance of the Nisku Industrial Park, adjacent to the Edmonton International Airport. We are a 24-hour truck stop with over 150 parking stalls (the only parking in Nisku for oversized loads). We provide a 24-hour restaurant, bar and games room. Our sister property, the Airways Country Inn next door provides rooms, off-sales, laundry and short and long term truck and trailer parking. Summary of Operations: Our Transportation Finance group focuses exclusively on serving your industry and understands your collateral, so you can be confident you’re partnering with a team that will craft the right financing solutions for your business. Summary of Operations: Powerful Value, Delivered is much more than a tagline at Brandt. It’s our company-wide promise to help our customers succeed by empowering them with the outstanding performance of our people and the uncompromising quality of our products and services. Brandt is a growing, dynamic and diverse group of companies headquartered in Regina, Saskatchewan. Brandt employs more than 1800 people across Canada and the US and services markets in over 20 countries and six continents. Brandt is the largest privately owned company in Saskatchewan and a Platinum Member of the Canada’s 50 Best Managed Companies program. Summary of Operations: Brolube Ltd. sells and services the Brolube Automated Lubrication Systems for Trucks and Equipment. We are also the distributor for Brofil Pressurized Cab Filtration Unit. We service all Lubrication Systems. 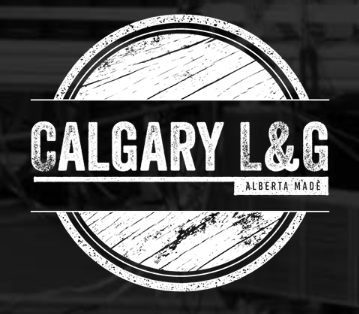 Summary of Operations: Calgary L&G’s talented team boasts more than a century of experience in lubricants research, quality assurance, plant operations, and grease manufacturing. We have the capacity to manufacture over four million kilograms of grease annually and adhere to the highest industry standards. We pride ourselves on superior product and world class customer service with a focus on exceeding all our customers’ expectations. 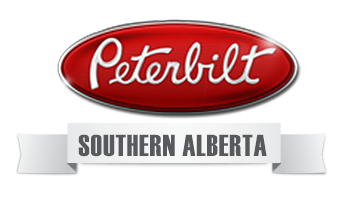 Summary of Operations: We are a group of full service Peterbilt dealerships servicing the Southern Alberta market. We're equipped to care for you and your truck(s) in every possible way. Summary of Operations: Fleet repair specialists. Heavy duty truck and trailer, light duty car and truck, R.V. , air conditioning, CVIP, MVIP, out of province certification, fabrication and welding shop. Freightliner warranty. Summary of Operations: Develop, implement, and/or maintain, new safety programs and/or components. Develop training and orientations for staff. Develop safety plans for ice roads. Prepare companies for COR. Summary of Operations: Our customers are small to mid-sized companies in the transportation, construction, forestry and oil and gas industries. We can help with equipment financing and leasing requirements in the $75,000 to $50 million range. Summary of Operations: Class 1 and 3 truck driver training, driver and extended length, driver evaluations, pre Trip inspection, air brake endorsement, Cargo securement, log book, TDG, WHMIS, professional driver’s improvement course or GODI, weights and dimensions and more. 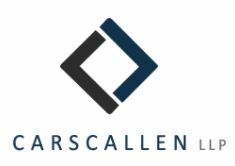 Summary of Operations: Carscallen LLP is a full service business law firm dedicated to the needs of our clients. We are a proud firm in Calgary with an extensive understanding of the Alberta business and industry landscape integral to advising our clients. We work hard on maintaining trusting relationships by listening to the needs of our clients and delivering exceptional advice and services tailored to meet their requirements. 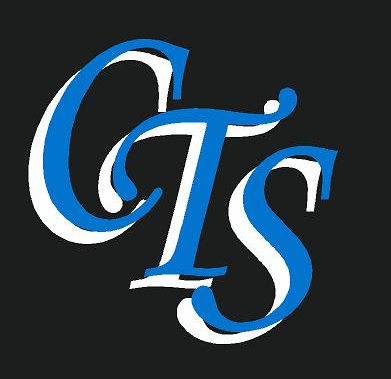 Summary of Operations: CCA Truck Driver Training Ltd established in 1981 is a bonded , government licensed commercial truck driver training school . We offer Class 1 and Class 3 training programs. In class courses include the Alberta air brake course, PDIC (professional driver improvement course) , LCV (longer combination vehicle training program), TDG, WHMIS , HOS(hours of service). We also do driver evaluations for new hire as well as existing class 1 or Class 3 drivers. Summary of Operations: CCG provides equipment finance and leasing to the construction, fleet transportation and waste industries exclusively throughout the US and Canada. Our marketing and credit teams are segregated within the industries we serve, to assure we possess the expertise to capture the individuality of our clients’ business, quickly assess a transaction, and rapidly move towards completion. Coupled with our dedicated customer service attitude CCG’s focus remains firmly on exceeding our customers’ needs and expectations. We offer finance and leasing for new and used equipment, debt consolidation loans to improve cash flow, and cash-out to fund business operations. Summary of Operations: Cervus Equipment offers a complete line of operator safety training courses for light duty (forklift, skid steer, aerial work platform and telehandler) and heavy duty (excavator, front-end loader and heavy truck) equipment. Summary of Operations: We are an Alberta-based workplace testing and counselling company with small company beginnings. We provide our customers the advantages of state of the art technology, expertise, and nationwide services, which you would enjoy when dealing with the larger players in the field. 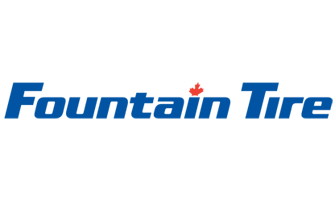 Summary of Operations: Since 1938, Chevron Canada Resources has been exploring for, developing, producing and marketing crude oil, natural gas and natural gas liquids. 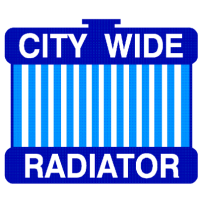 Summary of Operations: Complete line of new heavy truck radiators and charge air coolers, Also complete air conditioning service. All repairs necessary to cooling system. Summary of Operations: Cleral is an OBW (Onboard weighing) system a mechatronic lift axle management systems. Canadian company in business for over 20 years with a worldwide distribution network. Summary of Operations: Specializing in heavy truck towing and recovery since 1953. 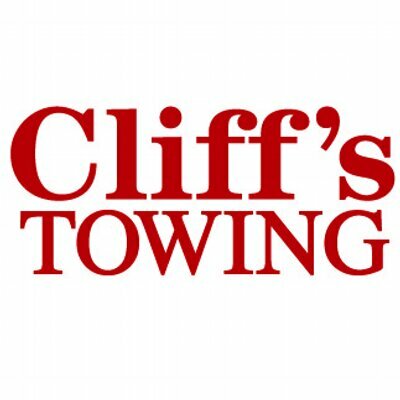 Cliff's fleet of top quality trucks and equipment are continuously updated, professionally serviced and maintained. 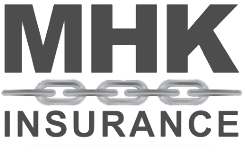 Summary of Operations: CMB Insurance Brokers specializes in commercial insurance for a variety of companies operating in Canada and internationally. Our clients are in trucking, oil and gas, construction, manufacturing and fabrication, taxicabs and public transportation. Summary of Operations: Driver recruitment assistance and transportation industry promotion. Summary of Operations: Coast Capital Savings Equipment Finance is the Equipment Financing and Leasing division of Coast Capital Savings, the largest member-based credit union in Canada with over $20 billion in total assets under its administration. Coast Capital Savings was established in 1944 and has been financing and leasing equipment for more than 30 years, offering specialized financing programs for Owner Operators and Carriers in the trucking industry. Summary of Operations: ColdFront is the authorized dealer for Carrier Transicold in British Columbia, Alberta and Saskatchewan providing sales, parts and service support of temperature-control equipment, Auxiliary Power Units (APU’S), Gensets and Telematics for Transportation and Industry. We also support several other industry-leading product offerings, including Webasto, Pro-Heat, Red Dot and MEI, providing engine-off and hydraulic heaters, and in-cab air conditioning. Summary of Operations: COR audits, consultations, safety and training. Summary of Operations: We provide compliance and risk Services, training and development programs, COR and transportation program development. 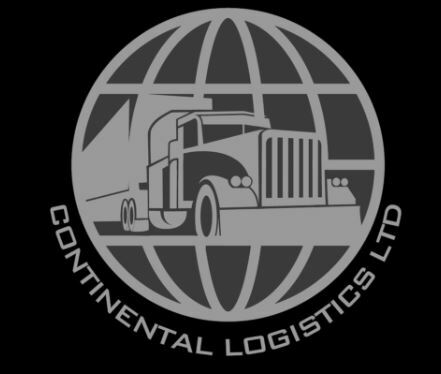 Summary of Operations: Continental Logistics Ltd is a freight brokerage service. We provide dry van or reefer (temperature controlled trailers), FTL (full truck load), LTL, flat deck, step deck and oversize liquid bulk loads. Continental works with all major rail lines to match up trucks and railcars for optimal delivery. As a global freight solution service, overseas freight can be moved through air or barge. Full access third party storage/warehousing across North America. Summary of Operations: External health and safety auditing and consulting services to a client base in Alberta and B.C. 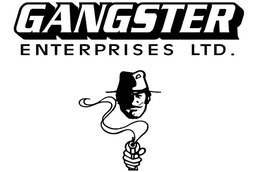 Summary of Operations: One of Western Canada's largest silkscreen printers, Cowan Graphics Inc. offers the best in fleet graphics, striping, conspicuity striping, recognition decals, reflective graphics and much more. Summary of Operations: Craig Kelman & Associates helps achieve its clients communication goals by providing new ideas and a fresh perspective with our professional services. 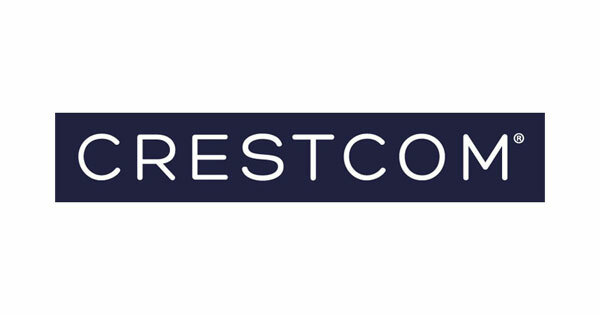 Summary of Operations: Crestcom offers a comprehensive management training program known as the Bullet Proof Manager Series. Training people for over 25 years across Canada and worldwide, company leaders receive 12 months, 48 hours, of accredited classroom training in either Calgary or Edmonton. AMTA members receive a 10% discounted tuition and are also eligible for assistance filling government forms associated with the Canada-Alberta Job Training Grant that, if approved, will refund 2/3 of a company's Crestcom training investment. Summary of Operations: For 40 years Cubex Limited has been providing innovative equipment solutions to Municipalities, Contractors, and the Energy Industry across Canada. With Regional Branch Locations, we are able to deliver equipment, parts, and service to our customers in a timely and convenient manner. Summary of Operations: We specialize in medium and heavy duty diesel and natural gas engines. 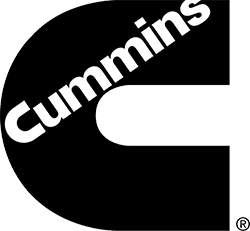 Summary of Operations: Cummins Western Canada is the distributor for Cummins Inc. and Onan generator sets for British Columbia, Alberta, Yukon and Northwest Territories, Nunavut, Saskatchewan, Manitoba and more. 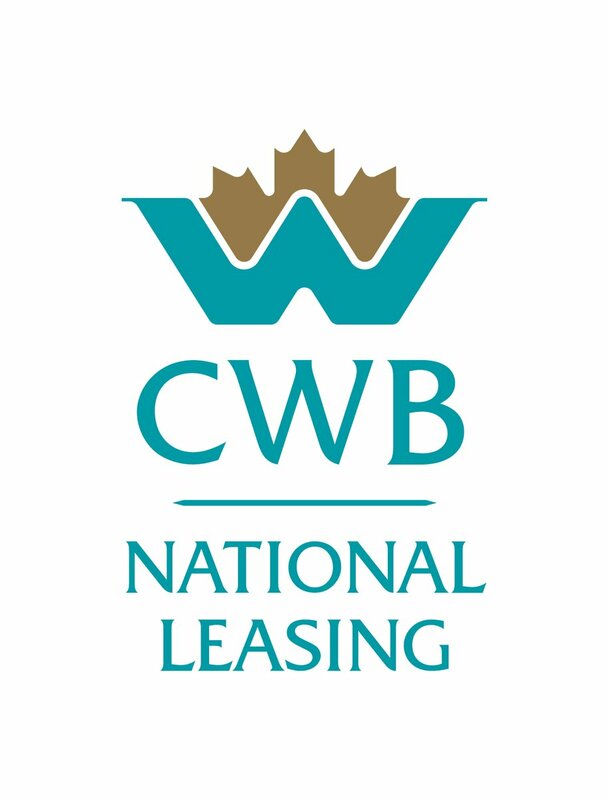 Summary of Operations: From a small two-man operation housed over a quaint automotive service centre in Winnipeg, to the nationwide equipment leasing leader we are today, we've aimed to make leasing quick and hassle free. Of course our success would be nothing without you, our fantastic customers. Summary of Operations: We offer fleet products including long haul and local cartage, owner operator packages , bonds and specialize in buydown & downtime programs as well as many other product lines. Summary of Operations: For 115 years, we have helped shape the future of transportation by creating new technologies and pushing boundaries – with a desire to never stop innovating. Our team around the world is busy at work transforming the next 115 years. 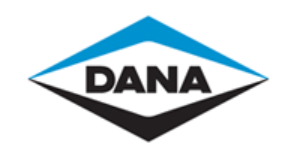 Today, Dana is the only Vehicle supplier with full e-propulsion design, engineering, and manufacturing capabilities – offering electro-mechanical propulsion solutions to each of its end Markets. Dana is the power behind the power of the future. Summary of Operations: Danatec provides Training support for Transportation of Dangerous Goods, WHMIS and other safety programs. Includes: regulations, instructor packages, self-teach programs (print and Internet), videos, posters, training and consulting. Summary of Operations: Dandy Oil Products Ltd., located in Edmonton, Alberta and incorporated in the province of Alberta, is a licensed Petro-Canada/Suncor Marketer, distributing fuel and lubricants in the Edmonton area since 1999. Summary of Operations: With 67 years of combined industry experience, there is no insurance situation that we can’t handle for you. Our company’s focus is providing you, the customer, with the most appropriate coverage for the best price available. Summary of Operations: Our equipment includes: tractors, vans, sale/tandem. Trailers by type: provincial prorates. Summary of Operations: We specialize in ECM re-programming for better performance and fuel savings. We also offer programming for off-highway. Summary of Operations: Doepker Trailers is a leading manufacturer of premium grade semi-trailers. The Doepker brand is synonymous with quality, leading edge design, and customer service both before and after the initial sale. Through a build-to-order system, standard and custom units are manufactured to enable each customer to maximize their profitability. Our diverse portfolio includes a variety of hopper, flatbed, forestry, oil and gas, gravel, heavy haul and specialty trailer designs. Summary of Operations: Donovan’s Driver Education has been teaching Class 1 and 3 truck driver training in Edmonton for 11 years. We are a family-owned business and one of Edmonton’s premier truck driving schools with a proven success rate. Summary of Operations: In this environment of increasing costs and uncertain economic times, Double Coin Tires are the alternative to high priced major brand tires without sacrificing quality or convenience. Offering a seven year, three cap warranty and The Smart Money National Account program with servicing dealers across Canada and USA. 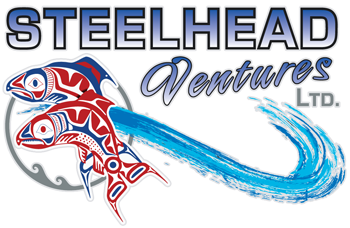 Supported by Fleet Managers and a Distribution center located in Langley B.C. Summary of Operations: Drake International leverages our vast network and specialized experience to provide you with temporary or permanent staff when you need them. We can also provide you with Talent management Solutions to help solve even the toughest of HR challenges. Summary of Operations: We have seven heavy-duty bays and a 90-foot drive-thru pit. Services provided include fleet maintenance programs, CVIP Inspections on trucks and trailers, air conditioning recharge and more. Summary of Operations: We help keep your employees, your company, and the public healthy and safe through stringent, scientifically proven drug and alcohol testing, occupational health programs and sleep apnea and fatigue management services. We are a one-stop solution for all your medical testing and assessment needs. Summary of Operations: Drivewyze Inc. is the leader in connected truck services, and is on a mission to revolutionize the delivery of highway safety and transportation management through world-class products, systems and services. Drivewyze serves commercial drivers and fleets with innovative trucking services such as the Drivewyze PreClear bypass service, and the Drivewyze Analytics Weigh Station Loss Reporting service. Learn more about Drivewyze at www.drivewyze.com. Summary of Operations: Edmonton Kenworth is world renowned for building heavy haul and off road trucks that can haul almost anything, anywhere in any conditions. We are here to provide the perfect truck for your medium to heavy duty hauling needs. Summary of Operations: Based out of Acheson, Alberta we specialize in new and used trailer sales, service and parts and finance centre. Summary of Operations: Elite Leasing is a finance/lease brokerage specializing in working with owner operators, new to business and difficult applications to get the best approvals available. Summary of Operations: Emergency Response Assistance Canada (ERAC) is a not-for-profit corporation created by industry for industry, and is a subsidiary of the Canadian Propane Association (CPA). As a co-operative emergency preparedness and response organization, we are instrumental in assisting hundreds of oil & gas and transportation organizations requiring Emergency Response Assistance Plans (ERAPs). We are experts in designing ERAPs, managing the documentation and, most of all, in activating those plans whenever and wherever needed. Using the most highly trained and skilled responders, and industry best practices and equipment, we are prepared for any flammable liquids or liquefied petroleum gas (LPG) incident by road or rail. In addition, we provide emergency response from coast to coast and offshore, in Canadian territorial waters, for flammable gases and stationary tanks. ERAC is ready to assist its Plan Participants by keeping their company, community and clients safe. We have more than 340 Plan Participants from the flammable gases and liquids industry, which include wholesalers, producers, transporters and retailers. 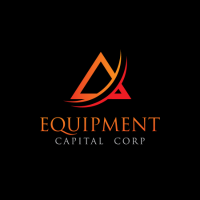 Summary of Operations: Equipment Capital Corp. works with to provide creative financing solutions helping to facilitate the start, growth and continued success of your business. ECC can help whether it is purchasing new or used equipment or refinancing your existing equipment. Summary of Operations: Ferrrari Safety Services offers a broad range of safety related services including: certified external auditor with the AMTA, performing Certificate of Recognition audits for Large and Small Employers, preparing company's for COR audits and more. Summary of Operations: Finning Canada is a division of Finning International Inc., the world’s largest Caterpillar equipment dealer. Servicing the agriculture, construction, forestry, mining, government and power systems sectors. Summary of Operations: Sales of new and used trucks. Parts and service for all makes. 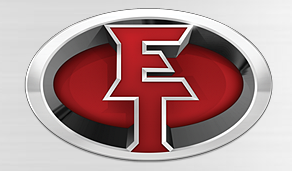 We are a Century Class, Cummins, Caterpillar, Detroit Diesel, Rockwell and Eaton authorized dealer. Sixteen bay body shop and alignment rack. Open 7 days a week, 24 hours a day. Summary of Operations: We make analytical tools to help logistics companies reduce operational expenses by eliminating hidden inefficiencies. 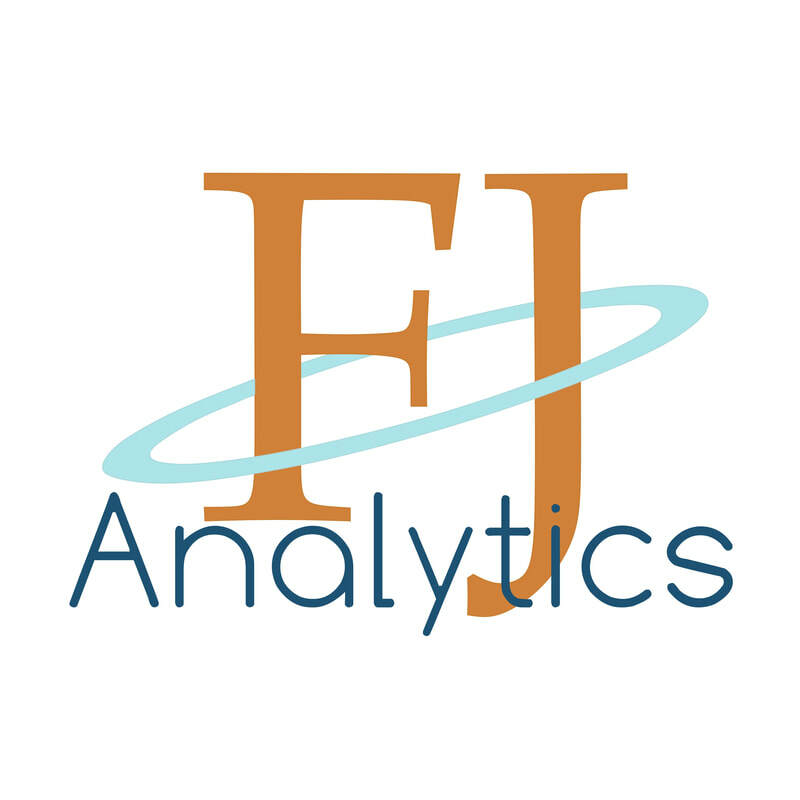 Our tools come with training and an accountability framework to help our clients successfully implement analytical insights into real business performance. Our analytical solutions cover areas such as labor management, fuel usage, assets utilization. Analytical solutions like ours can generate 5-7% annual cost savings in operational expenses. Summary of Operations: Sales-based operation selling semi-trailers. Representing Wabash National, Transcraft, Benson, Talbert, Renn, Gincor, Beall and others. Product lines include Dry Vans, Refrigerated Vans, Heated Vans, Steel and Aluminum Flatbed trailers, Liquid Tanks, Tag Trailers, Live Bottom, Specialized Double Drops, Tilt Decks, Hydraulic or Mechanical Detachables and Oil Field Equipment. Summary of Operations: Parts, sales and service for heavy duty trucks and trailers. New and used trailer sales and truck mounted equipment. Summary of Operations: Fountain Tire is a sales and service tire supplier. We also do mechanical. Summary of Operations: Fountain Tire is a Canadian company, founded in Wainwright, Alberta by Bill Fountain. We’ve been dedicated to providing top-quality service to Canadians since the first store opened in 1956. Summary of Operations: At FracStac Energy Solutions we believe there is a need for innovative ways to solve the problems oil and gas clients are having with their fluid storage needs. We have over 60 years of combined experience in the oil and gas industry. Summary of Operations: Oilfield services, rentals and hauling. We provide stadium light towers, a variety of generators, frac manifolds and hose, winch trucks and tractors, garbage bins and more. Summary of Operations: Manufacturing truck tarps/curtains and accessories. We also can do tarp repairs and specialty tarp design. Summary of Operations: Full Freightliner dealer with parts, sales and service. Also a dealer for Doepker Trailers and Renn products. Summary of Operations: Freightliner Trucks of Canada is the largest division of Daimler Trucks North America and is one of the most recognizable and respected names in the trucking industry. We manufacture Class 5-8 models that serve a wide range of commercial vehicle applications. We offer comprehensive, 24/7 customer support including one of the largest dealer and service networks in the industry, solid warranties and customized financing options. Summary of Operations: Servicing the oilfield for 10 years with water trucks, vacuum trucks, steam trucks and tow trucks. We also have our own certified Cvip shop, six bays, service trucks and welding Trucks. Summary of Operations: Full Service Maintenance and Repair for the transportation industry. Services include repair of transportation trucks, trailers, refrigerator units, lift – gates and more. Summary of Operations: Class 1, 2 and 3 Driver Training - complete courses or hourly instruction; one-day air brake courses - every Thursday and Saturday; PDIC - Professional Driver Improvement Course; ODA - Oilfield Driver Awareness; Log Books; Load Securement and more. Summary of Operations: GFI Systems has been providing solutions based software throughout North America for over 20 years. Our strength is in working with organizations to provide them with solutions that increase safety, efficiency and bottom line by leveraging GPS and other location based technologies. We believe that your software solution should work for you rather than you working for your solution. Summary of Operations: Consultative services specialising in sourcing and implementing transportation/logistics technology. Full consultations for Electronic Logging Devices (ELD) and Transportation Management Systems (TMS). Free ELD needs evaluation and recommendations for small transportation businesses. Summary of Operations: Our Heavy Equipment Technicians and Service Professionals are here to get you back on the road and keep you on the road. Whether it is a routine service, an engine overhaul or an emergency repair our team is here to help. Summary of Operations: New and used truck sales. Full service and parts dealer with available contract maintenance. Full maintenance lease company with complete rental fleet. Complete tire servicing including wheels, balancing, alignment and aluminum wheel polishing. Summary of Operations: GroupHEALTh Global has more than 30 years of experience with Canadian benefit plans. 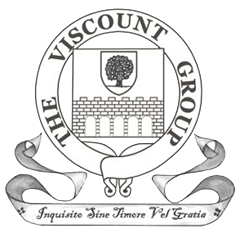 We deliver marketing, communication, administration, education and product development services to over 2,000 clients. 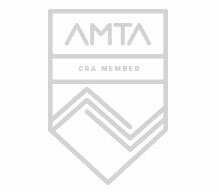 Summary of Operations: AMTA External COR Auditor. Safety program development and risk management. Summary of Operations: Haldex is a Sweden-based company, operating worldwide with offices in 18 countries. Haldex develops and provides reliable and innovative solutions that improve safety, vehicle dynamics and environmental sustainability in the global commercial vehicle industry. We are the world-leading supplier of brake adjusters for drum brakes and have the fastest growing market share for air disc brakes. Summary of Operations: We have a well-stocked yard of both new and used heavy trucks and trailers, a full retail parts department, a trailer rental fleet, and a complete service department focusing on trailers of all kinds, as well as trucks. Summary of Operations: HighStreet is a privately owned brokerage offering tailored insurance products and sound risk management advice. Summary of Operations: Hitachi Capital Canada (HCC) is a transportation equipment financing company headquartered in Ontario with offices in Calgary and Edmonton. HCC is publicly traded with majority shareholders Hitachi Group and Mitsubishi Bank assuring a very low cost of funds to offer medium and large fleets the best rates on the market. HCC's focus is strictly on equipment so we make sure to honour the longest term lengths on loans and leases to match the true useful lives of assets, which allows the lowest monthly payment possible on any purchases or refinancing. Let us show you what HCC can offer! Summary of Operations: Hornoi Leasing Ltd. offers daily rentals and long-term leases to North American companies or private individuals. Summary of Operations: HUB International was born in 1998 with the merger of 11 privately held insurance brokerages. That number has grown to a network of more than 400 integrated brokerages across North America - all carrying the HUB banner. Today, HUB is one of the largest insurance brokers in the world, and represents a broad, deep, one-of-a-kind aggregation of insurance entrepreneurs. Summary of Operations: COR Audits, safety and maintenance program development and on-site evaluation of carrier compliance. Summary of Operations: Insuremy Ltd. offers a full suite of commercial insurance providing risk management for property / liability and fleet auto needs. Assessing risk and providing clear concise evaluation and coverage options. Summary of Operations: We buy and sell used trucks: heavy spec oil field, highway, crane, winch, tank and service trucks. Mechanical repairs, engine rebuilding, paint and body work. Summary of Operations: ISAAC Instruments designs and manufactures technological solutions that enable truck fleets improve performance, productivity, compliance and safety. Its automated telemetry solution transforms complex data into meaningful indicators. With the continuous monitoring of both driver and truck performance, transportation companies can make informed decision. ISAAC’s integrated mobile communication technology provides real-time connectivity between drivers and company personnel, to optimize operations and maximize profits. Summary of Operations: J D Factors helps trucking and brokerage companies meet their ever-increasing cash flow demands, enabling them to run their business successfully. Factoring, or the sale of accounts receivable, gives companies immediate access to working capital for things such as payroll marketing, paying vendors and purchasing inventory, without incurring debt. We provide high advance rates (95 per cent) and reasonable and transparent pricing. 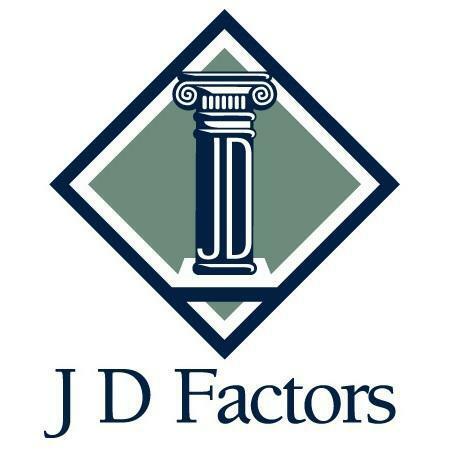 In addition, J D Factors offers credit-guaranteed non-recourse factoring programs. Summary of Operations: Manufacturer and repair shop of transport tanks and trailers for liquid haul. We are a full service centre facility and encourage a long after-sale relationship with our customers. Summary of Operations: At Jones DesLauriers our expert insurance advisors partner with you and your business team to find the best services that will be the right fit for your business to mitigate any potential risk. Summary of Operations: We started as a rig mat rental company, but expanded to provide trucking for the same with winch and bed trucks. We're now providing oilfield and agricultural transport services in the central Alberta area. Summary of Operations: Kal Tire is an independent tire dealer owned and operated by western Canadians. For the past 43 years, we have provided the best products and quality service to the Canadian trucking industry. Summary of Operations: Kingpin Trailers performs all repairs to all types of trailers in the trucking industry. We provide fleet maintenance service, including 24/7 mobile service, for trucks and trailers. We are a CVIP licensed inspection centre for trucks and trailers. Summary of Operations: A range of safety related services including: certified external auditor with the AMTA performing Certificate of Recognition audits, developing and maintaining companies Health and Safety Management Systems, performing transportation based driver training and more. Summary of Operations: LBC provides lending, leasing and treasury management services to small and middle market businesses and the transportation sector. Summary of Operations: We offer a wide range of dry vans, refrigerated vans and specialty trailers for city, highway and storage use. Summary of Operations: Leibel Insurance Group Corp. is a second generation family owned & operated business proudly serving Alberta for more than 37 years. As an Industry leader, we use several strategic approaches to fully understand our clients businesses and how they operate to be successful. Our strategic approach allows us to identify any insurance gaps in current coverage and provide the appropriate recommendations to close these gaps. As a result of our thorough reviews we are often able to help reduce client premiums and assist with claims handling should the need arise. It’s no surprise the Leibel Insurance brand has become synonymous with both service and security and a trusted partner for many since 1981. Summary of Operations: As a leader in the Canadian industry, Liquid Capital solves cash flow problems for Transportation firms of all sizes. We provide immediate funding by purchasing Accounts Receivable invoices at a discounted rate. Summary of Operations: In business for more than 70 years Lloyd Sadd represents a diverse portfolio of thousands of individual and corporate clients, offering a full spectrum of insurance services. Summary of Operations: Logistics Solution Builders seeks best possible outcomes for clients. For businesses, we create accurate feasibility assessments, management solutions to operational problems, training in best practices and bankable recommendations that reflect costs and opportunities. Summary of Operations: Semi-trailer vans, flat decks, low beds, logging trailers, sales and rentals. Summary of Operations: Maxim Transportation Services Inc. is a national supplier of transportation equipment and services with 17 locations across Canada. Summary of Operations: Established in 1981, Maxim Truck & Trailer offers preventative maintenance, repairs and major component warranty work on most makes and models of heavy, and medium duty trucks. Summary of Operations: More than a "traditional insurance broker", McLean & Shaw's unique business model is focused on Risk Management - helping you build a safer business and become more profitable through the identification and optimization of all of your organization's strategic costs of risk . Summary of Operations: Medicentres is a medical provider of WCB-Alberta’s Occupational Injury Service(OIS) Disability Management Program. OIS is specifically for work related injuries. Employers enrolled in OIS have 30% more claims with modified work performed and 25% less days missed on average. Summary of Operations: Based in Calgary, Alberta and with associates in British Columbia, Saskatchewan, Manitoba and Ontario, Mercado Capital has been a key provider of independent equipment leasing to small and large businesses across Western Canada. Summary of Operations: Specializing in driveshaft, axles, foundation brakes, braking systems and collision mitigation products. Summary of Operations: In 2013, we celebrated our 100th year of serving the insurance needs of Albertans, and we’re proud to have reached this incredible milestone. Over the years, we’ve gradually and deliberately grown to become one of the largest, independently owned insurance brokerages in Alberta. Summary of Operations: Miller Thomson is built to provide the most comprehensive Canadian business and legal help. The scale of your project is never an issue. We help businesses of every size, entrepreneurs and individuals. We work with not-for-profit organizations as well as financial institutions and governments. Our mastery of Canadian law is available to domestic and international clients alike. Mobent Safety & Consulting Ltd.
Summary of Operations: Performing COR and SECOR audits. Proficient with ISN, Complyworks and PICS. Summary of Operations: Family owned and operated, Newcom Business Media is Canada's premier B2B publisher delivering information and marketing services to a wide variety of industries through magazines, directories, and trade shows. Summary of Operations: Freightliner Class 8 tractors and trucks, freightliner M2 truck and tractors. Summary of Operations: Brutus Truck Bodies by Nor-Mar Industries Ltd. are designed for the harsh forestry, construction, mining, and oilfield sectors of the rugged Canadian environment. Summary of Operations: North Star Fleet Solutions Inc.. provides expert advice on tax and licensing for the trucking industry. We have over 30 years of experience of cutting through red tape to keep trucking companies compliant with government regulations. Summary of Operations: Northbridge Insurance is the leading trucking insurance company in Canada and has provided the Canadian trucking industry with continuous service since 1951. 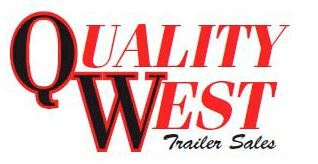 Summary of Operations: Western Canada’s largest rental, sales, parts and service centers for trailers. Authorized dealer for utility trailer, Wilson trailer, utility trailer, Fontaine Trailer and Titan Trailer. Summary of Operations: Our service consists of Trucking Claims Specialists in Canada and the USA, Safety Services Representatives covering all of Alberta and a long term commitment to our broker partner, Rogers Stieg Transportation Insurance Limited. Summary of Operations: Oleum Capital is the Master Licensees of a few innovative products that help save costs and cut downtime. One of them is MaxTT Tire Sealant. MaxTT is helping companies worldwide to save money on downtime, blowouts, safety of their operators, TUR (tread utilization ratio) and more. It's a preemptive after market solution to prevent flats, not address them after they have happened. It can be put in any existing tire and lasts the legal life of the tire with one application, its non-toxic, non-flammable, chemically inert and environmentally friendly. Summary of Operations: Omnitracs, LLC is a global pioneer of trucking solutions for all business models. Omnitracs delivers software-as-a-service-based solutions to more than 12,000 customers, and manage nearly 1,100,000 assets in more than 70 countries. The company pioneered the use of commercial vehicle telematics over 25 years ago and serves today as a powerhouse of innovative, intuitive technologies. Omnitracs transforms the transportation industry through technology and insight, featuring best-in-class solutions for ELD compliance, safety and security, productivity, telematics and tracking, transportation management (TMS), planning and delivery, data and analytics, and professional services. Summary of Operations: Performance Waste goes the extra mile to meet your Waste or Junk Removal needs. Our recycling program is an integral part of Performance Waste. Summary of Operations: PERI makes construction more efficient, faster and safer. Providing the best service to our customers is what drives us every day. 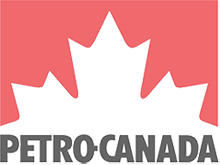 Summary of Operations: With Petro-Canada, you can count on a world-class leader in bulk fuel marketing to provide you with quality Canadian products. Whether you’re in the fleet, construction, forestry, drilling, mining and more, we deliver best-in-class service safely and reliably to your site. 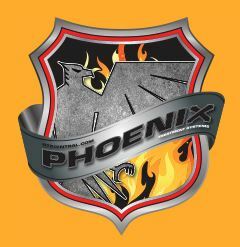 Summary of Operations: Phoenix supplies sewage containment and treatment units for rig camps to the oil and gas industry. We also specialize in permanent installation of septic tanks and disposal fields. Summary of Operations: Personal and commercial insurance including aviation, construction, directors and offices, errors and omissions and manufacturing. Summary of Operations: Premier Research & Consulting Inc. is Alberta’s foremost expert in the audit of Workers’ Compensation premiums, specializing in claims cost recovery. Our service encompasses a diversity of industries that operate within the province of Alberta, ranging from large multi-national companies to small businesses and every employer in between. Our success-driven and value-based approach to consulting is proven to have saved our clients money, positively affecting their bottom line. There are no up-front fees or costs to pay. When we deliver you a profit by reducing your WCB premiums, we share with you in those savings. Summary of Operations: We are an associated group of companies involved in various aspects of the trucking business. Our business model offers truck sales, leasing, rental, full maintenance lease and financing. Summary of Operations: We are #1 in proper driver training. We provide training for Class 1, Class3, Air Brake (Q) Endorsement, Log Book (Hours of Operation), Load Securement, We can customize training to company needs. Training is done one-on-one in truck. Summary of Operations: A Passion for Prevention. Our Business is the Health and Safety of Your People. We help encourage health and safety in all industries to prevent incidents and improve your company’s health and safety policies. Summary of Operations: Trailer sales, truck sales, rentals and leasing. Summary of Operations: R&D Trailer Rentals offers well maintained semi trailers to our valuable customers. From pup vans to multi axle, heavy equipment transporters, we are proud to offer competitive rental rates. 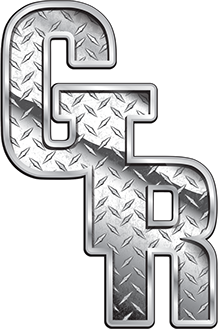 R.B Curry Auto Transport Ltd.
Summary of Operations: We have grown to have over 70 pieces of equipment including 10 Car Carriers, seven deck trucks, two landolls and three heavy wreckers. We also supply loaders, excavators and bulldozers for any job site requiring clean up and debris removal. 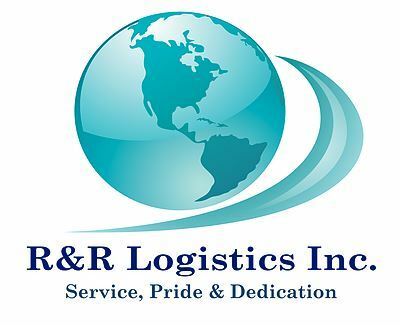 Summary of Operations: At R&R Logistics Inc., we offer quality services to Canadian and US clients at reasonable prices. Our courteous Freight Brokering Service staff have the professional tools and experience necessary to help with all your needs. Call today to get in touch with our staff and to learn more about what we have to offer. Summary of Operations: Raymax is an Equipment supplier of New and Used Environmental Equipment. We are a Dealer for several brand products such as Hlel, Shu-pak, Global Sweepers and Bayne Equipment. 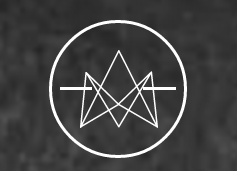 Summary of Operations: We are one of North America's leading diversified financial services companies, and provide personal and commercial banking, wealth management, insurance, investor services and capital markets products and services on a global basis. 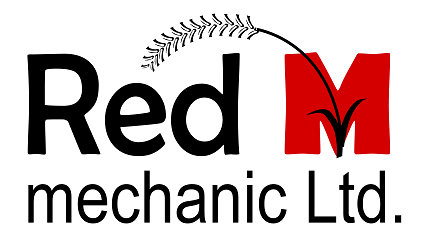 Summary of Operations: Red M Mechanic Ltd. is located in Innisfail AB, 1 kilometer east from Highway 54. We service any type of equipment on the road and off the road. Our heavy equipment and agriculture equipment technicians are specialized in commercial trucks with a variety of bodies such as cranes, dump trucks, flat decks, mixers and many more. Our goal is 100% customer satisfaction. That starts with short down time, fair prices on parts and labor, and understanding the customer feedback. With our mobile hydraulic truck we can go anywhere in Alberta to do road or field site repairs on leaking hoses. Our green and forward thinking is highlighted with the HydraGEN product. HydraGEN is the newest technology in fuel savings on diesel engines. Fleets are implementing this technology all around the World and in Alberta to reduce fuel consumption (up to 20%) and emissions (up to 60%). Engines with the HydraGEN product installed, in the aftermarket or on new vehicles, are also benefiting from longer service cycles such as oil changes and after-treatment burns. Our body shop is specialized in manufacturing and refurbishing any type of equipment. We build and install communal equipment like snow plows and snow blowers. Summary of Operations: Ritchie Bros. is a global leader in asset management and disposition, and the world's largest industrial auctioneer. We help thousands of people around the world appraise, sell, inspect, buy, refurbish, ship and finance heavy equipment and trucks every month. Summary of Operations: RJB Transportation Consulting Services offers external COR and SECOR audits and health & safety program development. 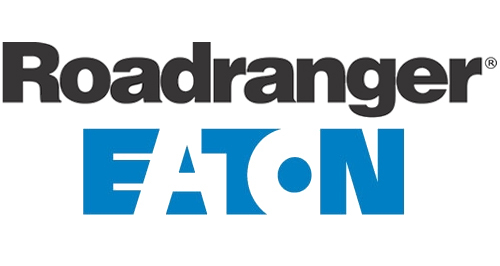 Summary of Operations: Representing the best in Drivetrain Products from Both Eaton and Dana Corporation's. Eaton Corporation manufactures Eaton Fuller Transmissions, Hybrid Power Systems, Eaton Clutches, Fleet Resource and more. Summary of Operations: As an employee-owned, independent Canadian insurance company, at Rogers Insurance we always put our clients first. Unlike a direct insurer, we’ll work with and for you to secure an affordable and effective insurance solution. Summary of Operations: A Canadian Company focusing on Mobile Billboards sales across the country. Mobile Billboards is an opportunity that capitalizes on the very large canvases that are available on small trucks to semi-trailers and everything in between. 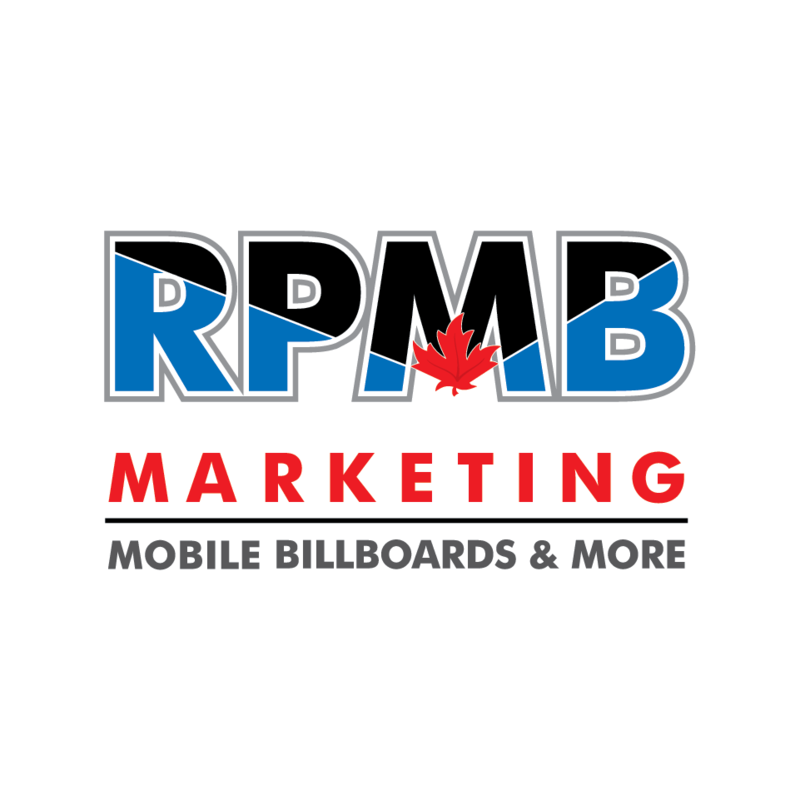 Summary of Operations: RPMB Mobile Billboards has created a medium for advertising on trucks and trailers. Summary of Operations: RSA is a commercial insurance company who is a top 5 Insurer in Canada based on Revenues in 2015. We insure many transportation companies and commercial fleet automobile is a target line of business for RSA. Summary of Operations: Ryder Truck Rental Canada is a 3PL company that operates nationally. Summary of operations: Workplace health, safety and environment program development; resource for program implementation and maintenance; interventional safety tools; navigation of contractor approval processes; COR external auditing. Summary of Operations: Safety Measures Consulting provides Health and Safety Consulting and External Auditing in Central and Northern Alberta areas. Professional safety designation: OH&S, University of Alberta and External Auditor certificates. Summary of Operations: Scott Builders specializes in total construction services from concept to completion for the Transportation Industry. Our entire working philosophy is based on collaboration and creating a great workplace for your team. Summary of Operations: Scotts Pressure Wash is the leading image management service in Western Canada. We have locations to service to service power washing needs in Calgary, Edmonton and Vancouver. We work with image aware businesses to enhance their credibility, reputation and safety. We have over 25 mobile units to service any fleets small or large and a full serve Wash Bay in Calgary, Ab. With over 50 years in business we are confident we can service all your power washing requirements. Summary of Operations: We have over 34 years experience in Transportation Safety in the trucking industry: Master safety administrator, forensic collision investigator and Safety Person of the Year, 2005, Bow Valley Insurance, AMTA. Summary of Operations: At SGI CANADA, we're proud of our 70-year history working alongside and protecting the transportation industry. Our industry-leading motor truck cargo product, Cargo Secure, is an innovative insurance solution for large and small fleets alike, from the Pacific Ocean to the Great Lakes. Summary of Operations: Silverberg Group specializes in the design, implementation, and ongoing management of employee benefit plans for all sizes of companies. Summary of Operations: An equipment sales and rental company that carries a full lineup of heavy equipment and proprietary attachments. Of special note is that Spectrum is the Canadian manufacturers representative for Trucbrush; this new and innovative attachment quickly, safely and thoroughly removes snow and ice from the roofs of trailers and cargo boxes. 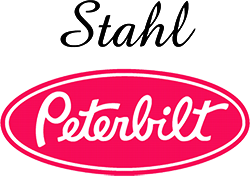 Summary of Operations: As one of the top Peterbilt Dealerships in North America for 10 consecutive years, we are proud to be a leader in the trucking industry by continually striving for excellence in our facilities, performance, quality, and customer satisfaction. Summary of Operations: We are a transportation company that delivers potable water, cleans septic tanks, rents out outhouses, garbage bins and fencing. We also have a water well drilling side of operations as well. Sterling Truck and Trailer Sales Ltd.
Summary of Operations: We are the Volvo heavy truck dealership for Lloydminster, AB - we offer parts and service for many makes of heavy and medium duty trucks - we are also the trailer dealer for Featherlite, Renn, Vanguard and Felling. Summary of Operations: Streamline develops innovative technology solutions and management software for the transportation industry. Streamline has three major product categories to its business today: Navistream, NaviLink and Degama. The integration of the three platforms allows the company to offer a full suite solution customizable to any fleet size. Key features include: ELOG, Messaging, Fleet Tracking, Geozones, Driver Performance Scorecard, Tracking (Fuel, Cycle Times, Speed), Equipment Handling, Safety, TMS for Trucking and Active Controls - helping your team from the driver to the fleet manager. Summary of Operations: Truck and trailer boxes, used trailers, hopper trailers, pintle trailers, dump trailers, walking floors, oil and equipment trailers, forestry trailers and more. Summary of Operations: Occupational testing services. Summary of Operations: AG Logistics Corp. thrives to being the #1 service provider for the Transportation and Warehousing industry by committing to continual improvement. We strive to achieve this by applying professional, efficient Driver Training, Transportation and Warehouse services to our clients by complying with a quality standard. Summary of Operations: Celebrating over 10 years of service, TECK safety conducts COR audits for small and large organizations as well as providing consulting and development services to building health and safety management systems. Summary of Operations: From light to heavy duty vehicle applications, The Gear Centre has Canada’s largest inventory of new and remanufactured transmissions, transfer cases, differentials, lockers, clutches, PTO’s and associated parts. Summary of Operations: Trade shows and national bilingual magazine for the trucking industry. 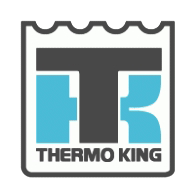 Summary of Operations: Known for giving that extra effort to meet the customer’s needs, Thermo King Western Ltd. has a complete range of products including Thermo King reefers and heaters and more. Summary of Operations: Hauling pallets of drilling mud to rigs in the oil patch. Summary of Operations: Total Canada produces and distributes a full range of lubricants for the automotive and industrial markets including lubricants for gears, hydraulics, compressors, special fluids, greases and food grade as well as biodegradable lubricants. Summary of Operation: Trailcon Leasing is a nationwide leader in trailer rental, leasing and maintenance solutions. Our transportation industry expertise and dedication to serving our clients has earned and kept us the business of some of Canada's largest companies. Summary of Operations: From rentals & leasing, sales, service, parts and storage, we have the right solution to meet your trailer transportation needs. Put our award-winning trailer expertise to work for you. Summary of Operations: Trailer rentals and leasing. Maintenance and repairs. We take pride in offering personalized and responsive service to our carrier and private fleet customers. Summary of Operations: Transcom is a global customer experience specialist, providing customer care, sales, technical support and credit management services through our extensive network of contact centers and work-at-home agents. Summary of Operations: We are committed to connecting the commercial transportation industry through a trusted and innovative marketplace, to make Canadian trucking and logistics companies more profitable. Summary of Operations: Our expertise and experience, focused specifically on the liquid bulk transportation industry, is the reason why clients turn to Transcourt for leasing solutions. A leasing decision involves more than just rates. Summary of Operations: Celebrating 10 years out West, Tremcar West offers tank-trailer and tank truck repair, maintenance, certification and parts sale services. Visit one of our three locations to better service you in Edmonton, AB, Weyburn, SK and Saskatoon, SK. Tremcar Inc. is North America’s largest family owned tank truck and trailer manufacturer. We lease, sell new and used tanks depending on your needs. 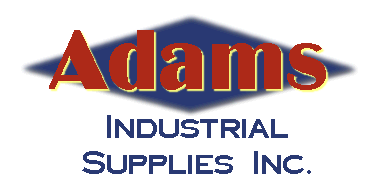 We specialize in the crude, chemical, dry bulk and sanitary industries. We build stainless steel and aluminum tanks depending on your application! Summary of Operations: With more than 12 years experience in the industry, our services includes Operating Authorities, Commercial Fleet Licensing, Fuel Tax Reporting, Facility and DOT audit, Vehicle Safety Audit, Logbook Compliance Audit, Drug and Alcohol Facilitation and more. Summary of Operations: UFA operates 118 petroleum facilities within Alberta, British Columbia and Saskatchewan that offer cardlock facilities, bulk fuel delivery, retail and automotive products. Summary of Operations: Equipment Rentals, Water pumping and some Oilfield services. Summary of Operations: WABCO offers a comprehensive range of customized aftermarket solutions and dedicated support services tailored to your needs. Our aim is simple: to keep your commercial vehicles operating safely at peak performance throughout their working life – with minimal downtime – thanks to our intelligent maintenance regimes. Summary of Operations: Wajax Power Systems offers much more than the repair of engines and transmissions. With our Quality Truck and Coach Care program, we are one of the largest service networks in Canada. Summary of Operations: As one of Canada’s most trusted occupational health and safety companies we provide quality service consistently across the country. Wellpoint Health offers a unique range of services that focuses on keeping your workforce healthy, productive and safe. 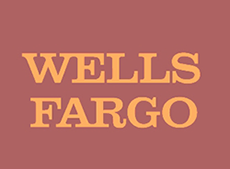 Summary of Operations: Whether you're acquiring new or looking to unlock equity in existing equipment, Wells Fargo Equipment Finance can propose creative, customized loans and lease solutions from small to large and highly structured transactions that are best suited to your company's goals. Summary of Operations: Western Medical Assessments (WMA) provides independent medical assessments across all medical disciplines. We have been helping employers and employees since 1992 by delivering evidence-based medical opinions from specialized physicians. Unlike most competitors, we are medically directed without any conflicting ties to case management or treatment services. Depend on WMA for medical clarity and invaluable return-to-work insights for both disability case managers and injured employees. 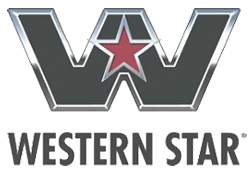 Summary of Operations: At Western Star Trucks (North) Ltd., we understand the business of trucking as it relates to your very unique business applications. Whether it is to provide the truck you require or keep your downtime to a minimum, we have two locations. Western Transportation Safety Consulting Ltd.
Summary of Operations: Western Transportation Safety Consulting Ltd. offers services in NSC Audits, Consulting, Log Book Reviews, Training in Hours of Service, Load Securement, Trip Inspection and Weights and Dimensions, Log Book Review Training, Prorate Services, Fuel Tax (IFTA) reporting, Canada and US operating authorities and many more services. Western Transportation Training Services Ltd.
Summary of Operations: Transportation auditing, consulting and training. Summary of Operations: Daimler Trucks of North America's dealers are supported by one of the most advanced parts distribution networks in North America, giving customers access to a wide range of new and re manufactured parts, accessories and more.